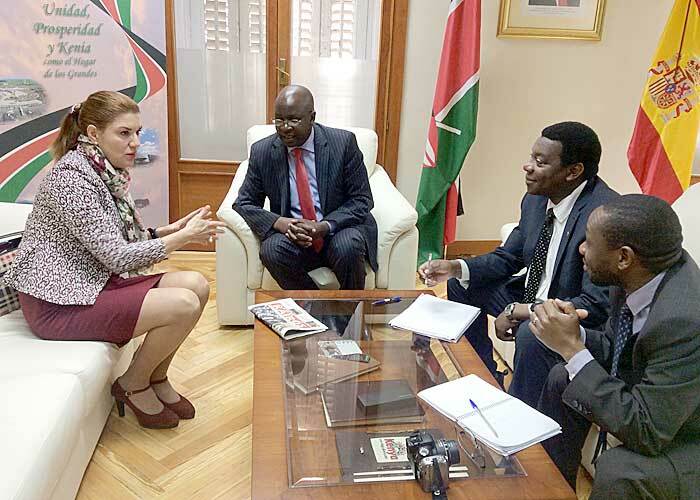 Doña Pilar Lopez Partida, Mayor and president of the Municipal Council of Valdemorillo in Madrid Province paid a courtesy visit to the Ambassador of Kenya. The discussion held related to identifying counterpart Municipal Councils in Kenya with a view to sharing cultural, touristic economic and other pertinent areas of mutual interest. Specific areas of interest for inclusion in a convention are being worked out between the Embassy and the potential partners. KENYA REPRESENTED AT THIS YEARS INTERNATIONAL CHRISTMAS FAIR OF CULTURES, MATADERO MADRID.